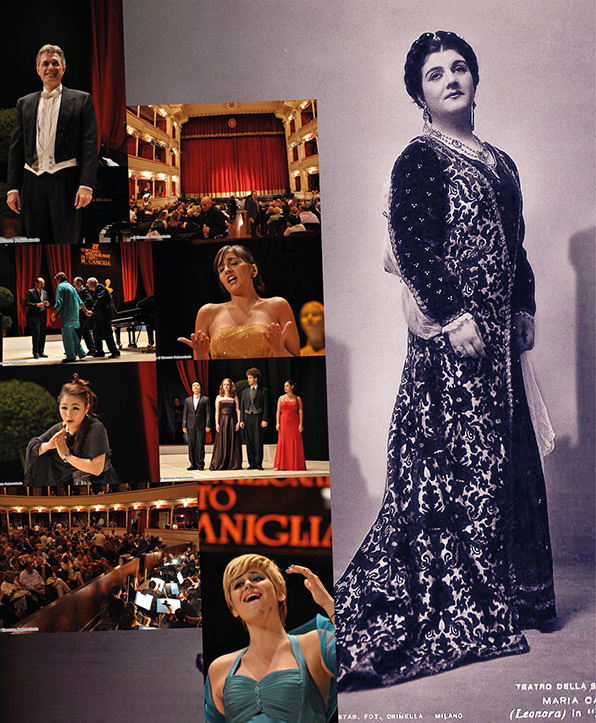 In December, Sulmona in Italy will host the 35th anniversary International Singing Festival named after Maria Caniglia for Young Singers. The event is organised by the European Foundation for Support of Culture with participation of the Abruzzo Regional Administration, Sulmona commune, the Chamber of Commerce of Abruzzo, Carispaq Foundation, and Cooperativo Pratola Peligna bank. Maria Caniglia (5 May 1905 – 16 April 1979) was one of the leading Italian dramatic sopranos of the 1930s and 1940s. During her career she sang regularly at La Scala in Milan and, on the international scene, she appeared in venues such as the Paris Opéra, Covent Garden in London, the Teatro Colón in Buenos Aires and the Metropolitan Opera in New York. The festival programme includes a series of concerts, master classes and a vocal competition. The singing competition will have three rounds – elimination, semi-final and final that will take place at Teatro Maria Caniglia in Sulmona. The competition participants will sing famous arias with the accompaniment of renowned European pianists. The jury will include the festival president Cecilia Gasdìa; the general manager of DM ARTIST, international agency for opera singers and orchestra conductors, Christian Starinieri; the chief executive officer of Opera Co-Pro Ambra Sorrentino; the artistic director of Finland’s Savonlinna Opera Festival Jorma Silvasti, and others. Vocal master classes will be given by the renowned opera diva Ljuba Kazarnovskaya (Austria); opera singer, soloist of the Bolshoi Theatre Anna Aglatova (Russia); the merited artist of Kazakhstan, opera singer Shakhimardan Abilov (Kazakhstan); opera diva of the Manoel Theatre Andriana Yordanova (Malta), and other European singers. In parallel with the master classes, a series of concerts will be held, in which both the classical music stars and young talents will take part.